A Buddhist monk takes up arms to resist the Chinese invasion of Tibet - then spends the rest of his life trying to atone for the violence by hand printing the best prayer flags in India. A Jain nun tests her powers of detachment as she watches her best friend ritually starve herself to death. 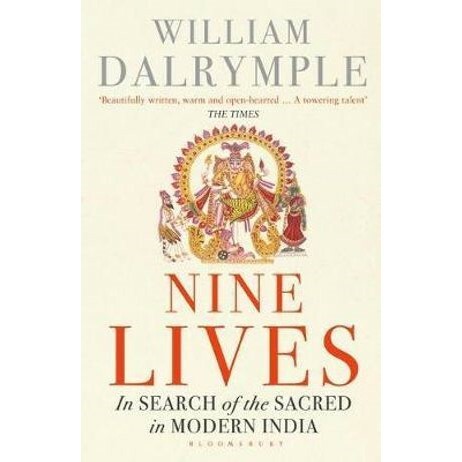 William Dalrymple was born in Scotland and brought up on the shores of the Firth of Forth. He wrote the highly acclaimed bestseller In Xanadu when he was twenty-two. City of Djinns won the Thomas Cook Travel Book Award and the Sunday Times Young British Writer of the Year Award. The Age of Kali won the French Prix D'Astrolabe, Return of a King won the 2015 Hemingway Prize, and White Mughals won the Wolfson Prize for History 2003 and the Scottish Book of the Year Prize. His most recent book, The Last Mughal, was longlisted for the Samuel Johnson Prize and won the Duff Cooper Memorial Prize. Hi lives with his wife and three children on a farm outside Dehli.